1. Sort out your financials - If you've already prepared your taxes, you probably have everything your Lender will need to get you pre-approved for a mortgage. Get pre-approved, so when we find a home you love, we can move on it quickly! Need a Lender? I have professional, experienced Lenders ready to provide you with excellent products and top-notch service. 2. Sort out your belongings - The truth is, moving boxes are expensive. 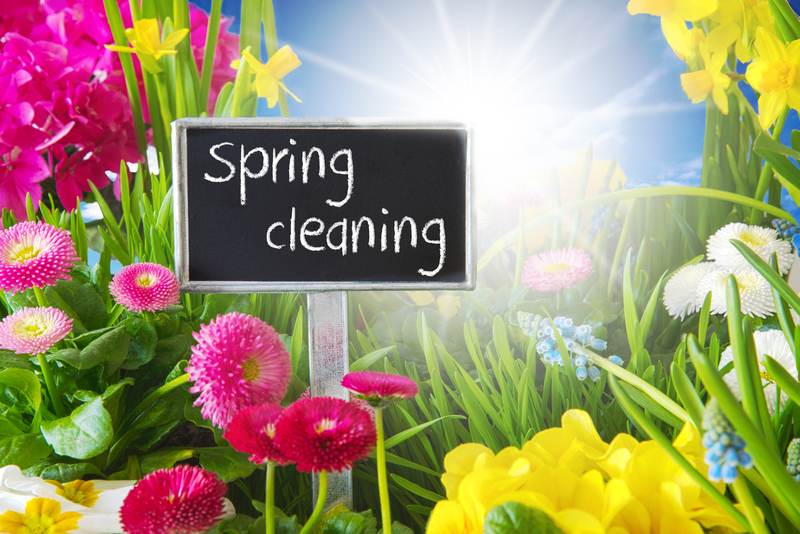 While you're spring cleaning, make sure to sell or donate items you no longer use or need. There are so many places to advertise items for sale and so many worthy organizations that can do good with your items. If you're also selling a home, check with me before you get rid or any furnishings we might use for staging. Then, once your house sells, you can dispose of them as you wish. 3. Start your search - If you've already been receiving search updates from my website, then you have a good idea of what's available in the area you're searching. If you haven't set up your search, you can do it here https://www.lisarbaker.com/search/advanced_search/. You can set up as many searches as you wish, and also receive Market Reports and an automated valuation estimate for your current home. 4. Schedule your time - Even if you're a couple of weeks from looking, let me know when you want to get started. I'm happy to get you on my calendar, to make sure we don't miss out on any search time when you're ready. 5. Select your vendors - Once you write an offer on a home, you know you'll want to do a home inspection. Feel free to start looking early for vendors like Home Inspectors and Home Warranty Companies. Having a home inspection company selected in advance will save valuable time during your inspection period! Don't know where to start? Let me know, and I can point you in the direction of experienced and trusted providers. So let's get started! Wherever you are in your home buying process, it's never too early to start getting educated on what to expect and what you'll need. And I'm here to help you through it. And I'm looking forward to being of service.